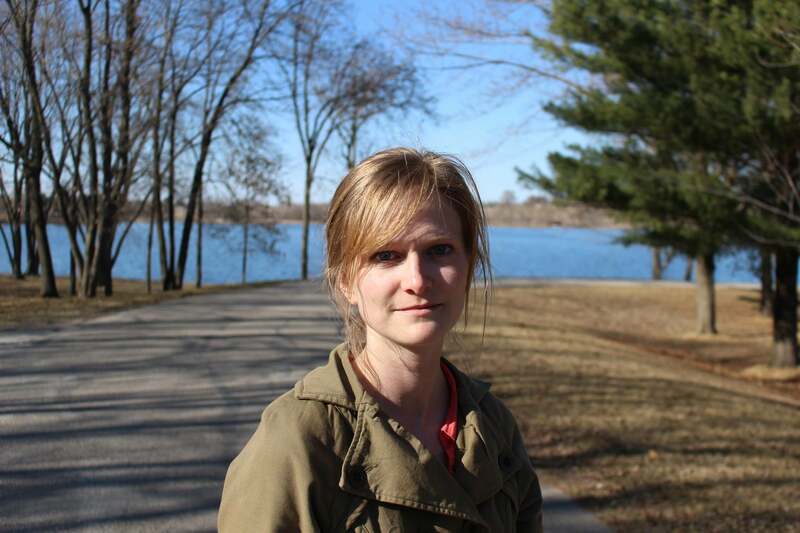 Kelsi Vanada is a recent graduate of the Iowa Writers’ Workshop. She teaches literature and creative writing for the University of Iowa, and translates from Spanish. Her poems and translations have appeared most recently in Berfrois and Prelude. She received a writing and research grant from the Danish American Heritage Society during the summer of 2015. Many prolific authors are known primarily for just a few of their many works. There’s Shakespeare’s Troilus and Cressida or Measure for Measure, for example, which are much less well-known than, say, Romeo and Juliet or A Midsummer Night’s Dream. Another such author is Kurt Vonnegut, one of my favorite fiction writers and one who taught briefly at the University of Iowa Writer’s Workshop, where I am currently a second-year MFA student in the poetry program. Slaughterhouse-Five and Cat’s Cradle are perhaps his best-known works, but my favorite of his novels is the lesser-known Galápagos, published in 1985. Vonnegut’s Galápagos tells the story of humanity’s de-evolution. The story follows a group of people whose boat wrecks on one of the Galápagos Islands, where, over the course of a million years, their descendants develop into sea creatures with vastly smaller brains, only capable of fishing for their survival. In its story, the novel critiques evolutionary processes on a large scale, arguing that: “Our brains are much too large. We are much too busy. Our brains have proved to be terribly destructive.” The human brain, Vonnegut says, enables humans to harm each other, to the point that we can eliminate whole societies through nuclear warfare. It would be better for evolution to work the other way — toward simpler brains, toward basic, non-higher-level thinking. Vonnegut’s novel is saturated with his dark humor and biting sarcasm, which is off-putting to some readers. And the sarcasm does feel aggressive, I agree — perhaps it’s why some readers prefer Vonnegut’s other books to Galápagos. Other critiques include references to Vonnegut’s relentless re-statement of his themes. I understand that some readers don’t like to be “hit over the head” with thematic reminders when reading fiction, or to feel continually lashed by sarcasm, but in my view these elements reinforce the seriousness of Vonnegut’s stance toward the destructiveness of highly evolved mankind. From a literary craft standpoint, what I appreciate most about Vonnegut’s style in this novel is the way his sentences are written so as to put the reader concomitantly in the present moment as well as in the future. “Those old-time big brains… would tell their owners… ‘Here is a crazy thing we could actually do’,” he writes, for example. The style has the effect of stretching the time implicated by the story from past (what one ‘would’ do in the past) to future (what ‘would’ one day happen). This stylistic choice seems to indicate the broad span of time in which humans have been harming one another — the effect on the reader is eerie. Galápagos is not for everyone. It’s not for the reader who picks up a novel with the intention of escaping into another, more idyllic world. Galápagos, in fact, forces readers to be extremely uncomfortable with humanity and its history. As Vonnegut writes, “A million years later, I feel like apologizing for the human race. That’s all I can say.” And that’s the novel’s power, however uncomfortable it might be.